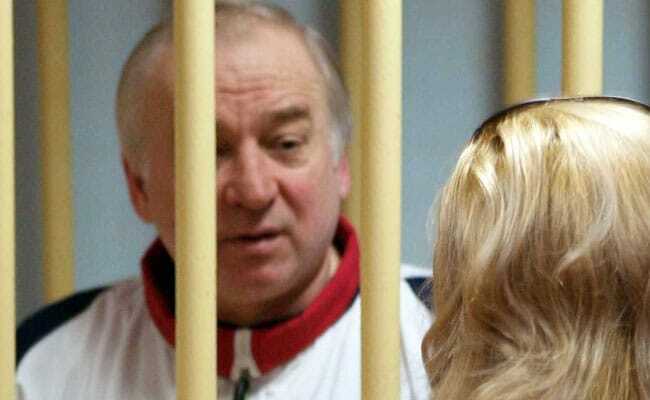 Skripal, a former Russian spy, was jailed in Moscow for sharing the names of undercover Russian intelligence agents working overseas with European authorities. Sergei Skripal is in the ICU and being treated for "suspected exposure to an unknown substance"
This weekend, 66-year-old Sergei Skripal collapsed in a shopping center in the British city of Salisbury. He is now in the intensive care unit of the city's hospital, being treated for "suspected exposure to an unknown substance." In other words: officials think he may have been poisoned. Skripal, a former Russian spy, was jailed in Moscow for sharing the names of undercover Russian intelligence agents working overseas with European authorities. He was released to the U.K. as part of a prisoner swap. Officials believe Skripal may have been attacked by Russian operatives. Dmitry Peskov, a spokesman of Russian President Vladimir Putin, denied any involvement in the attack. "We know that this tragic situation has happened, yet we have no information about its probable causes, what this man has been doing, and what this is about," Dmitry Peskov told my colleagues. If the investigation does, in fact, reveal that Skripal was poisoned by his fellow Russians, it wouldn't be the first time such an incident has occurred. Russian intelligence officials have turned political poisonings into something of an art form. Experts have worked for many years to develop colorless and odorless poisons. Some testing was done on living prisoners, according to a 1954 interview with a KGB defector. Some poisons of choice, like the nerve agent sarin, are fatal if inhaled even in low doses. Others, like cadmium, are lethal to the touch. A Russian banker, Ivan Kivelidi, died of cadmium poisoning in 1995. Authorities say the drug had been spread on his office telephone. In 2008, a Russian human rights lawyer was felled by mercury found in her car. In one famous case, from 1978, a Bulgarian dissident was killed after being stabbed with an umbrella tipped with ricin on Waterloo Bridge. Other substances cause victims to suffer a heart attack. The New York Times said, "No other major power employs murder as systematically and ruthlessly as Russia does against those seen as betraying its interests abroad. Killings outside Russia were even given legal sanction by the nation's Parliament in 2006." These attacks happen in Russia and abroad. Poison was slipped into the tea of journalist Anna Politkovskaya on a flight to the Caucasus. She survived, but was later gunned down in Moscow. But Russian emigres in the U.K. seem particularly vulnerable. Russia is suspected of having organized the killings of at least 14 other people on U.K. soil over the last two decades, according to an extensive BuzzFeed investigation. That's thanks in part to geography: London is a hub for the Russian diaspora. But there are other reasons too. Until recently, Britain has struggled to investigate suspicious deaths as assassinations. As BuzzFeed explained after an extensive investigation: "The reasons for Britain's reticence, they said, include fear of retaliation, police incompetence, and a desire to preserve the billions of pounds of Russian money that pour into British banks and properties each year. As a result, Russia is making what one source called increasingly 'bold moves' in the UK without fear of reprisals." Boris Berezovsky: Berezovsky was found apparently hanged in his bathroom in 2013. Police ruled it a suicide, but U.S. intelligence officials suspected an assassination. --Scot Young: Young, amultimillionaire fixer to the world's super-rich, worried for years that he was being targeted by a team of Russian hitmen. In 2014, he was found dead, impaled on an iron fence after a fall from a window in his home. At the time, police ruled the death a suicide and did not pursue a criminal investigation. But experts, including U.S. intelligence sources, suspect he may have been murdered. A trio of Young's business partners - Paul Castle, Robbie Curtis and Johnny Elichaoff - all died in apparent suicides in the four years before Young. According to BuzzFeed, U.S. intelligence agencies considered their deaths suspicious. --Badri Patarkatsishvili: A Georgian oligarch and business partner of Berezovsky's died of an apparent heart attack in 2008, probably caused by a poison. --Yuri Golubev: Another associate of Berezovsky, Golubev was found dead in 2007 in London. The oil oligarch and outspoken Putin critic was a known enemy of the Kremlin. --Other suspicious deaths include Stephen Moss, a 46-year-old who died of a sudden heart attack in 2003 and Stephen Curtis, killed in a 2004 helicopter crash. As BuzzFeed explained, the pair was suspected of helping Russian oligarchs funnel money into Britain. As BuzzFeed put it after its investigation, "The story of this ring of death illuminates one of the most disturbing geopolitical trends of our time - the use of assassinations by Russia's secret services and powerful mafia groups to wipe out opponents around the globe - and the failure of British authorities to confront it." --Alexander Litvinenko: An outspoken critic of Putin, Livinenko died in 2006 three weeks after drinking tea laced with some kind of radioactive substance. A 2016 British public inquiry found that Putin "probably" ordered the killing of the former KGB operative. The two men accused of the attack, Andrey Lugovoy and Dmitry Kovtun, denied involvement in the killing and suggested Britain was trying to stir up opposition to the government in Moscow ahead of elections. --Alexander Perepilichny: In 2009, Perepilichny fled Russia for London, where he provided evidence of high-level corruption to Swiss authorities, in the form of wire-transfer records. In 2012, the 44-year-old suffered a heart attack while on a jog. By all accounts, he was in excellent health. In 2015, his death was linked to gelsemium, a rare, poisonous plant grown in the Himalayas and known to have been used in Chinese assassinations.